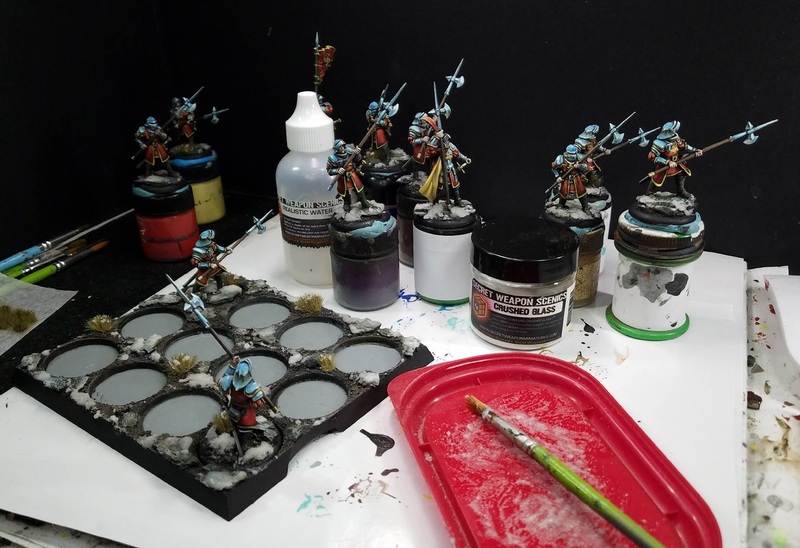 Here’s a peek at the final segment of the series, where grass tufts and snow are applied to the bases and movement tray. 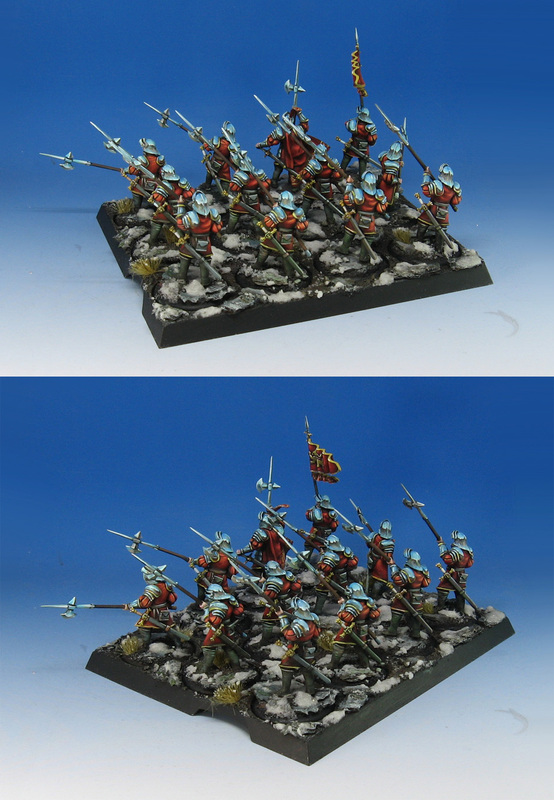 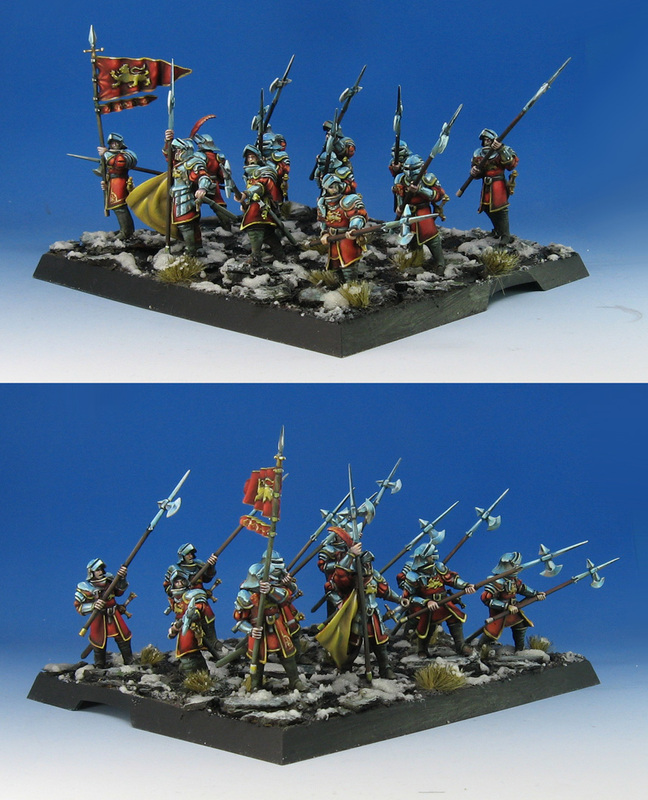 The entire series of 5 episodes is about 12+ hours long, and it covers all aspects of painting this Lannister Halberd unit. 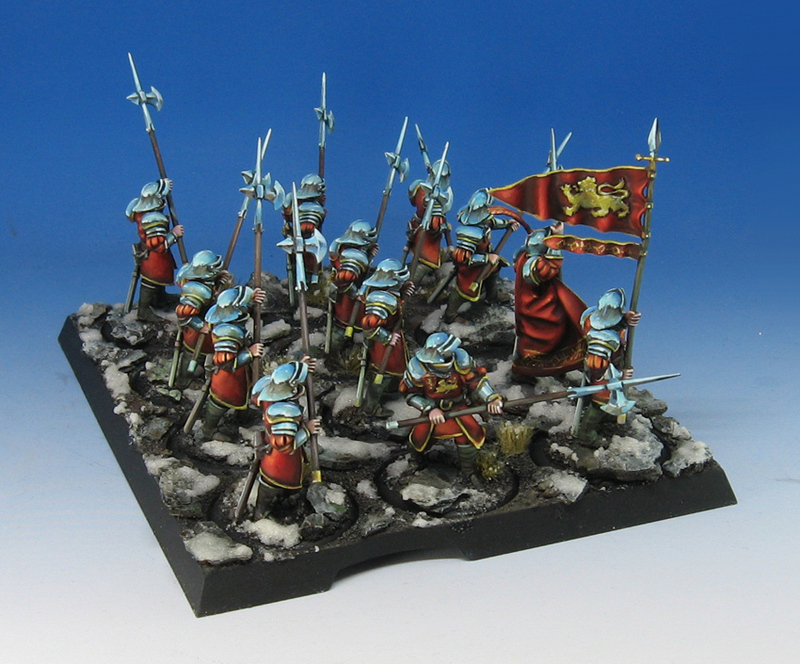 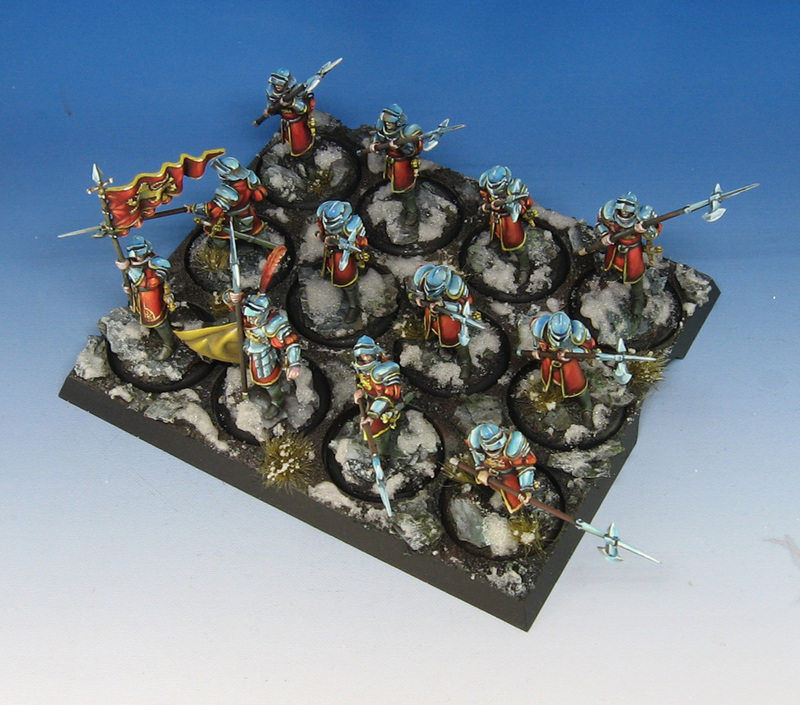 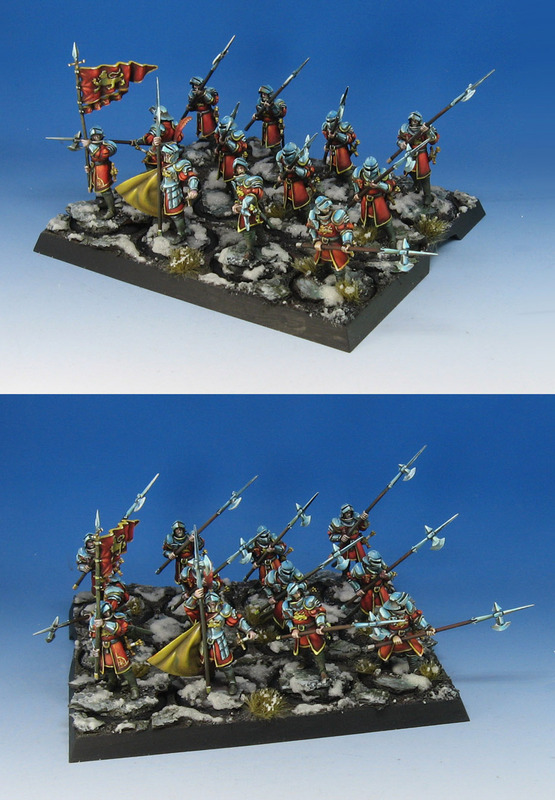 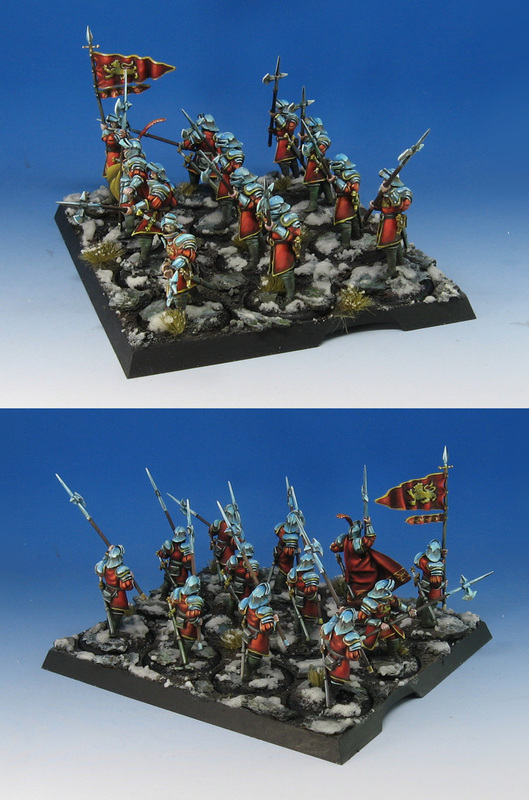 I will be covering many more Song of Ice and Fire units and heroes in video tutorial form for the Patrons of my Patreon page. 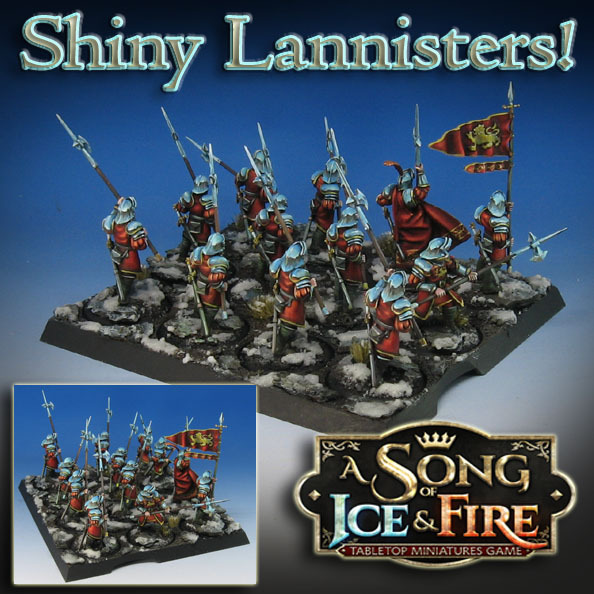 Not only the rest of the Lannisters, but Starks, Knight’s Watch and Free Folk!